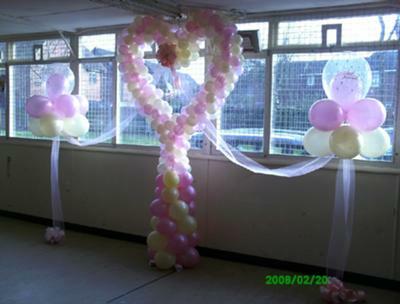 Birthday, wedding or anniversary, Lovely Colours offers excellent floral and balloon decorations for your hall and venue. We offer a range of party accessories, themed party supplies and tableware, balloon decorations, balloon bouquets, arches, cloud nine, foil and latex balloons. We cover the whole of London and Essex. Free tailor made quotes can be provided on request whatever the size of the party.